Our company is located in Toyooka, a city in Hyogo Prefecture with the largest industrial cluster of bag manufacturers in Japan. We have a proud history over 190 years in the bag industry, beginning in 1824 producing wicker trunks. Holding close to tradition, as professional bag artisans we have a pride and commitment to developing more than satisfactory bags for our customers that give them a sense of "confidence" and "pleasure" when using our bags. This is realized through "quality", "design" and "service" of the highest degree. 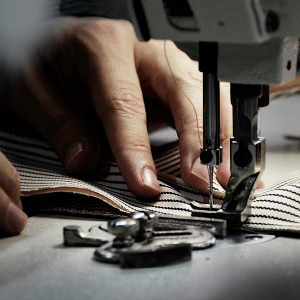 Furthermore, we choose material, sewing methods and processes to ensure the long life of the bag, as well as enhanced services arranged for the repair and replacement of parts. Commitment to "Bags as Tools"
Bags that are tools. 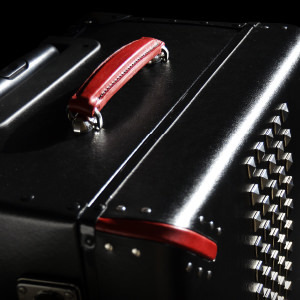 Our concept of the bag as a tool means that it shall be an ultimate instrument for the user, which is not only functional and user-friendly but also durable and is as long lasting as possible. This concept is the fundamental result of years of development. Special attention to detail is given to every visible and invisible aspect. 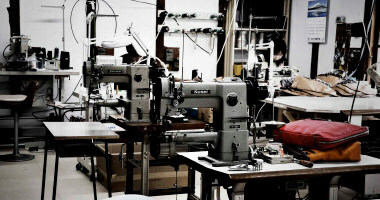 For example, thread breakage is prevented by listening to the sounds of sewing machines and tools are accounted for at the beginning and end of each task. 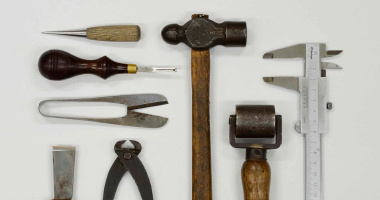 Should a needle break, each piece will be sought out until every single piece is found. 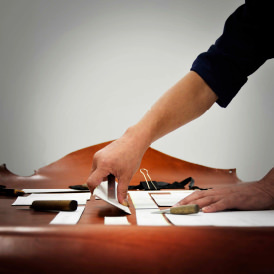 Our first-rate artisans are dedicated even to the aftercare of their work. In order to reduce customer inconveniences as much as possible, repairs take an average of three days to complete. Aftercare services include preventative measures such as the reinforcement of bags to not only the repaired areas but also to other possibly problematic areas. 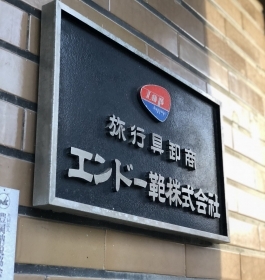 The head office factory at our headquarters in Toyooka City, Hyogo Prefecture is committed to creating products proudly branded as "Made in JAPAN" and "Made in TOYOOKA". Through quality control, each artisan works diligently, creating bags with precise care that cannot be done in mass production factories. Our heart is put into each stitch of the orginal domestic brand products we create. We're continually trying new challenges. 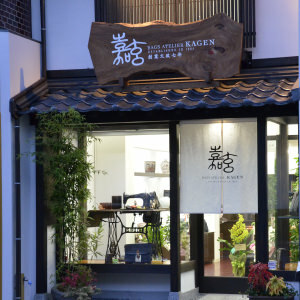 One was the opening of KABAN ATELIER "KAGEN" in 2013. The shop entrance, interior and products all convey our adherence to the Japanese style. First-rate artisans can be seen working in the back of the shop. Visitors can visit "KAKICHIRO'S ROOM", a library of TOYOOKA KABAN's history originating from yanagi-gori, a wicker trunk, on the second floor. “Fiber” is made from thinned timber pulp and has an excellent durability, abrasion and insulation capacity. Also a unique and smooth texture. Our development of fiber trunk started in the 1920s, and was successfully commercialized in 1928 by the founder Kakichiro Endo. We are the first and the oldest fiber trunk manufacturer, still boasting manufacturing state-of-the-art technologies. Wheels so quite you won't believe your ears. Worn out wheels can be easily replaced. High-spec nylon fabric. A business bag with well-designed functionality. High quality and usability owing to the commitment of "Made in JAPAN". Artisan techniques can be seen in Toyooka bags, a leading city of bag production. Recommended for active business persons of the modern age. The playful functions are also a plus. A casual urban taste combined with practicality. Various colors and styles are available. Enough space to store all your necessary stuff. There's also a lineup of various and affordable nylon business bags. We will cater to your requirements of OEM production case-by-case, including original commercial bags, professional bags, cases and novelties. Our service mechanism is structured based on the synergy effects in collaboration with the Planning, Development and Manufacturing Divisions. What we offer you is the most effective and satisfactory feedbacks by presenting designs, marketing and production methods from the proactive stand point and views for the realization that is at a higher level than expected, which we are convinced to realize the synergies with customers as well. It is said that the history of Toyooka Kaban (bags) began around AD 710. Having a hand in that history for over 190 years, we continue to provide bags to our customers. 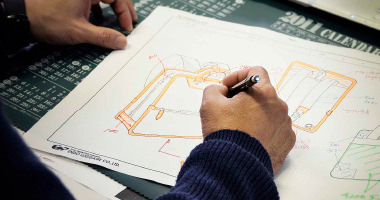 We will continue to strive to make bags for our customers based on that long history and tradition. Japanese language only / We do not ship overseas.